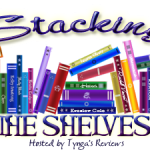 Stacking the Shelves (335) – Escape Reality, Read Fiction! Ouch! This one got kind of big, didn’t it? Oodles of things came in for my committee, for a contest I’m judging, and just because they looked good. And some thing fell into more than one category – but not nearly enough! Some of this is tsundoku, that fear of running out of things to read. While I never actually run out of things to read, I do occasionally run out of things I’m in the mood for at a particular moment. Doesn’t everyone? 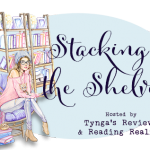 Pingback: The Sunday Post AKA What’s on my (Mostly Virtual) Nightstand 4-14-19 – Escape Reality, Read Fiction! Wow, that’s a lot of review books in one week! I would be hyperventilating! Relative Fortunes is a great title and the synopsis sounds like a book I would enjoy. I hadn’t encountered Silver in the Wood before, but I’m putting it on my list of books to take a closer look at. And I want to read Theodora Goss’s first Athena Club book.